This website including all webpages located at the domain name www.siit.nsw.edu.au (Website) is the Website of the Sydney Institute of Interpreting and Translating (SIIT). 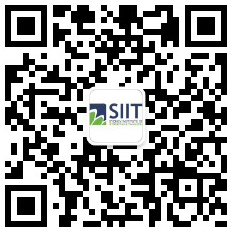 The website is available for you to access and provide information in the course of your dealings with SIIT. By continuing to access the Website and continuing to provide information you are agreeing to the Terms. The material on the Website is copyright of SIIT. All rights reserved. The above are unlawful in any jurisdiction and are specifically prohibited by these Terms. b) Notwithstanding the above restrictions on use of the material on the Website, you may download material from the Website for your personal non-commercial use provided you do not remove any copyright and trade mark notices contained on the material. c) You may access the Website only via manually conducted, discrete, individual search and retrieval activities. d) Access to and use of the Website via mechanical, programmatic, robotic, scripted or any other automated means is strictly prohibited. e) You may not use any automated system or software to extract, crawl, cache or index data or content from the Website. any computer software and code contained in the Website. Re-transmitted in any media, without the prior written consent of SIIT. a) The Website contains links to sites on the worldwide web owned and operated by third parties and which are not under the control of SIIT. Is not responsible for the material contained on those linked sites. The material or information does not infringe any legislation or regulations of the Commonwealth of Australia and the State of New South Wales including, but not limited to, the Competition and Consumer Act 2010and any other parliament competent to legislate in relation to the Website or any law in any country where the material or information is or will be available electronically to users of this Website. Allow SIIT to sub-licence others the same rights granted to SIIT in (a) above. In relation to any material or information included on the Website, or any linked website, SIIT may remove any material or information, including but not limited to links to other sites on the worldwide web and content supplied by you, at any time without giving any explanation or justification for removing the material or information. SIIT and its respective officers, employees and agents have no liability for any costs, losses or damages of any kind, which you may incur, arising whether directly or indirectly. As a consequence of removing any material or information from the Website. Publication of or distribution of the material or information supplied by you. SIIT may from time to time without notice suspend the Website or disconnect or deny you access to the Website during any technical failure, modification or maintenance involved in the Website. SIIT will use its reasonable endeavours to procure the resumption of the Website as soon as reasonably practicable. SIIT may terminate access to the Website at any time without giving any explanation or justification for the termination of access, and SIIT has no liability for any costs, losses or damages of any kind arising as a consequence of terminating access to the Website. SIIT may vary these terms at any time by general notice on the homepage of the Website. a) SIIT is making the Website, and any of the linked websites, available for others to view or publish information without assuming a duty of care to users. SIIT is not in the business of providing professional advice and gives no warranty, guarantee or representation about the accuracy, reliability or timeliness or otherwise, of the information contained on the Website or linked sites on the worldwide web. Merchantability or fitness for any particular purpose for any service or product contained or referred to on the Website or on any linked sites. Using or acquiring, or your inability to use or acquire, any service or product contained or referred to on the Website or any linked sites. Errors and defects in the Website will be corrected. Defamatory, offensive or illegal conduct of any user of the Website or any linked sites, whether caused through negligence of SIIT, its employees or independent contractors, or through any other cause. f) You agree to accept the full cost of any necessary repair, correction and maintenance of any of your computer software or hardware, which may be necessary as a consequence of you accessing the Website. a) Clause 3 (Disclaimer) may not apply to you in jurisdictions in which limitations on or exclusions of warranties or liabilities are not permitted by law. SIIT’s liability for any implied warranty or condition is limited, subject to any obligations under the Competition and Consumer Act 2010. Regarding the way in which you use the Website including, without limitation, information acquired through the use of “cookies” programmed during the accessing of the Website. If any part of these Terms to be void, unlawful, or unenforceable then that part will be deemed to be severable from the balance of these Terms and the severed part will not affect the validity and enforceability of any remaining provisions. These Terms will be governed by and interpreted in accordance with the law of New South Wales, without giving effect to any principles of conflicts of laws. You agree to the jurisdiction of the courts of New South Wales to determine any dispute arising out of these Terms. Copyright © 2018 Australian Professional Education Institute Pty Ltd trading as Sydney Institute of Interpreting and Translating. Powered by Webmelbourne.